Complete evaluation for bleaching is necessary. This would include a thorough medical history as well as an intraoral examination. It is important to determine if crowns and old fillings are present since they will not bleach. The teeth are isolated and bleach is applied. Patients can watch TV during the process. Dr. Barry A. Kaplan, a prosthodontist with over 30 years of experience, offers Veneers out of his Morristown/ Randolph/Chester office, combining advanced dental technology with customization for the best possible fit, stability, and lifelike appearance. Dr. Barry Kaplan’s Porcelain veneers are composed of a durable, high-quality ceramic that can be matched to the shade of your surrounding teeth for a seamless, natural look. 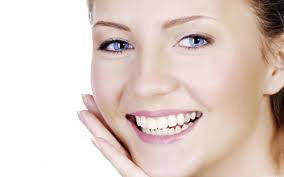 The Veneers at Morristown Prosthodontics and Implant Dentistry appear more natural because they are custom designed and handcrafted to compliment your personality, age, gender, and physical appearance. Our top end custom labs use digital imaging software in our office, which allows us to take a digital picture of you and use our imaging system to predict how the veneers would change the appearance of your smile. The porcelain is translucent, like natural tooth enamel, and it resists stains, permanently. While your veneers are being created, you will be given temporary veneers. Natural front teeth often exhibit many different shades variations. At Morristown Prosthodontics and Implant Dentistry Dr. Barry Kaplan uses shade matching to make restorations that perfectly match the color of your natural teeth. Dr. Barry Kaplan’s shade matching system is a computerized small hand-held device allows him to visualize the tooth hue, value and chroma under different lightings to create precise color matches. With this technology, you can be confident that your restorations will beautifully match your natural teeth. Choosing a highly skilled Prosthodontist (Cosmetic Specialist) can be the difference between getting the smile you want and a serious disappointment. One of the most popular and effective developments in cosmetic dentistry, veneers are thin, custom made facings that cover the front side of your teeth. Veneers are used to correct uneven teeth, worn enamel, discoloration, chipped teeth and irregular spacing, and can last over 20 years. In some cases, veneers can serve a restorative purpose and can protect a damaged tooth from further harm. After a thorough examination of your teeth, which may include X-rays and taking impressions of your teeth, your dentist will remove a thin layer of enamel from your teeth. Then he or she will create an impression and send it off to a laboratory to create the veneer. While the mold is being created, your dentist may provide you with temporary veneers. Finally, the veneer’s size and color are given one last adjustment before they are cemented to your tooth on your second visit. Veneers can give your teeth a more natural, aesthetically pleasing appearance and are stain resistant and soft on gums. In some cases, veneers can serve a restorative purpose and can protect a damaged tooth from further harm. Will My Insurance Cover Veneers? As this procedure is elective and primarily cosmetic, most dental insurers will not cover veneers. Talk to your dentist about the financing options available. What is an Immediate Implant Placement? What is the difference between a Cosmetic Dentist and a Prosthodontist?